Vitamin C (ascorbic acid) is one of the most important ingredients in skin care products. Vitamin C has been proven to increase collagen production when applied topically to skin (Journal of Drugs in Dermatology). It is a powerful antioxidant that may enhance UVA protection when used in concentrations of at least 15%. It may also be used prior to procedures to speed healing. Lastly, vitamin C as been shown in studies to inhibit an enzyme that produces skin pigment, tyrosinase (Journal of the American Academy of Dermatology). By inhibiting this enzyme, vitamin C may help to improve the appearance of skin tone. Collagen production. Vitamin C plays an important role in your body’s natural collagen production and the inhibition of collagen degradation (Journal of Drugs in Dermatology). Skin-brightening hyperpigmentation treatment. In a randomized, double-blind, placebo-controlled study, researchers found enhanced penetration of vitamin C into the skin significantly reduced pigmentation, when compared with placebo (Dermatology). Although ascorbic acid is viewed by many as ineffective as a depigmenting agent alone, particularly in 5%-10% concentrations, when used in combination with other ingredients such as HQ, it is considered effective (American Journal of Clinical Dermatology). Oxidative stress protection. Ascorbic acid also is known to regenerate alpha-tocopherol (vitamin E) levels and, therefore, is thought to protect against diseases related to oxidative stress (Journal of the American Academy of Dermatology). Photoaging treatment. Similar to oxidative stress, vitamin C is renowned for its ability to mitigate the effects of UVB, such as erythema and signs of photoaging, on porcine and human skin (British Journal of Dermatology). Stretch mark treatment. The depigmenting effects of vitamin C can lighten the pigmentation associated with stretch marks and its anti-inflammatory activity can contribute to blunting related redness (Dermatological Surgery). It may sting. Vitamin C is best absorbed at a pH of 2.0. Although a lot of companies propose using new forms of vitamin C other than L-ascorbic acid, the truth of the matter is, many of these are at a pH of 4.0-4.5 or higher, so they are not absorbed into the skin as well. One caveat to note about 15% or higher L-ascorbic acid formulas is that they may sting when used on inflamed skin because of the low pH. It may be unstable. 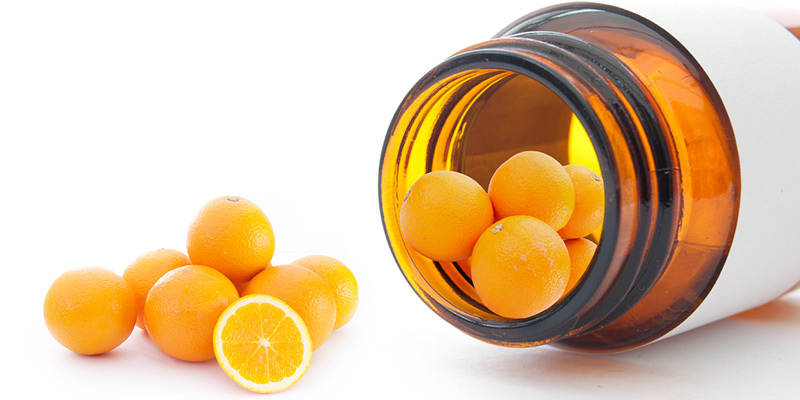 Vitamin C is also unstable when exposed to light and air. It is important to discard within 6 months after opening. It may be pricey. In addition, the proper formulation is patented and expensive. Stick with brands you trust. Topical antioxidants may claim they help to shield the skin, but the only one that has been tested (and proven) over time in Skinceuticals CE Ferulic. Although orally administered ascorbic acid is readily bioavailable, ascorbic acid in the skin is quickly depleted and oral supplementation alone does not yield optimal skin levels. Therefore, topical use of vitamin C is desirable. In fact, I tell my patients to use it topically in the morning and add a vitamin C supplement to their diet. Numerous formulation considerations (e.g., packaging, exposure to air or light during use, skin sensitivity, and user preference) are involved in the stabilization and effective penetration of ascorbic acid into the skin, and the process of developing, manufacturing, and packaging of effective, stable vitamin C products is expensive. Vitamin C, particularly when combined with other ingredients, has been shown to be an integral ingredient in topical antioxidant, antiaging, and depigmenting formulations. It is a great choice for use in a prep-procedure skin care regimen to speed healing. Use after a procedure is prohibited by the stinging associated with the low pH of properly formulated products.